Junior School Certificate (JSC) and JDC Examination 2018 is going to start 01/11/2018 at 10.00PM to 01:00PM. 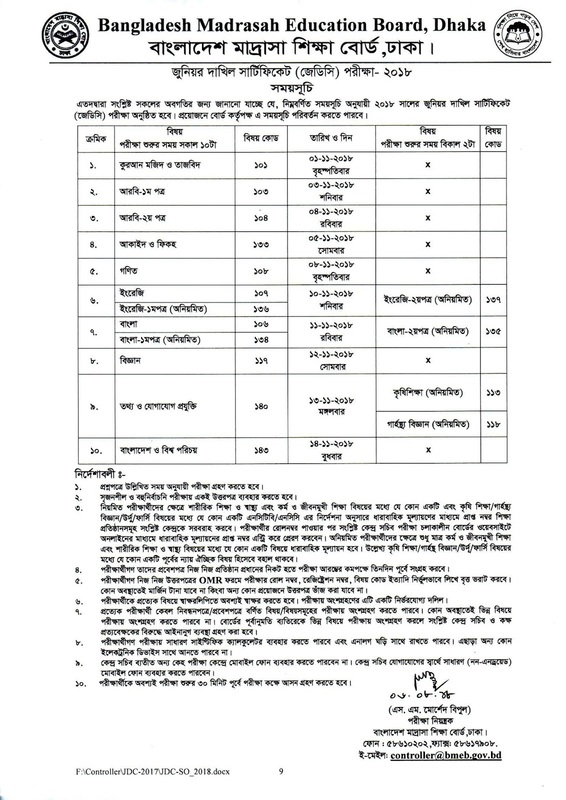 The routine of all Education Board, Barisal Board, Comilla Board, Chittagong Board, Dhaka Board, Dinajpur Board, Jessore Board, Rajshahi Board, Sylhet Board, Madrasah Board, Technical Board will be published together. How to check your JSC and JDC exam result? 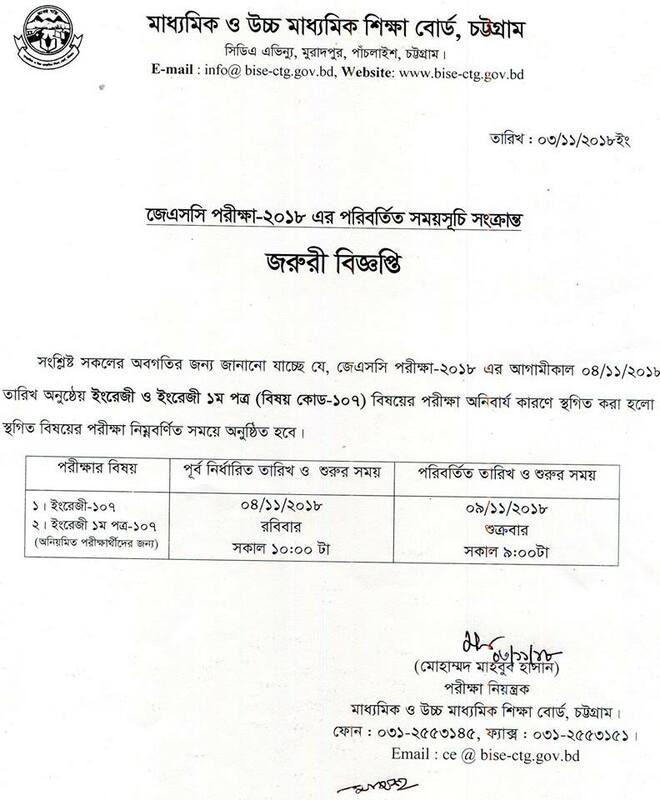 Education Boards of Bangladesh will publish exam result in 3 different ways. The Boards make different easy ways to deliver exam results to students at shortest possible time. Every student their good wishes can get JSC and JDC result by online/Internet, via mobile SMS and use an Android App. Online and Android App result checking method will be accessible all over the world where Internet connection is available. And also you can check JSC and JDC result by sending an SMS from any mobile operator currently in Bangladesh. Go to the message option of the desire Mobile phone you keep ready for sending Message for your JSC/JDC Result. The type JSC<space>the first three Letters of your Education Board name<space>the 6 Digit JSC/JDC Roll Number which received by the Education Board<space>Enter the SSC Passing Year. Then send the message to 16222 numbers. Then you will receive a feedback SMS with your Name and GPA. Please send the Message only After Published the JSC/JDC Result by Education Board (After 1:30 PM). Every successful SMS, you will be charge 2.50+ TK (With VAT + SD + SC). HSC exam result is also available using Android App. You can collect your HSC result 2018 by the Android Apps. This method is only applicable for the Smart phone users. If you have an Android Smart phone, you are able to follow these conditions to collect your result easily. The Process of HSC Exam Result 2018 collection by the Android Apps (Smart phone users) is very easy like the HSC Result Collection process via the Online Internet. If you don’t have an Android Apps pre-installed on your Smart phone, Just Visit the Google Play store and install the BD Result Apps (Powered by Teletalk Bangladesh limited). After successful Installation, just follow the instruction of How to get JSC/JDC Result from the Internet and try yourself. We hope that you can easily collect your JSC/JDC Result 2018 with this process. The result of JSC/JDC exam 2018 of all Education Board will be published together. Also, the checking system of exam result is same for all Education Board. However, each Education Board will also publish their board result in an additional way. Dive this section below to know them. In our site you will get JSC/JDC Routine 2018, JSC/JDC result 2018 of all education board of Bangladesh viva www eboardresults com. Also students will get their result via own education board official website. Like Dhaka education baord result, Jessore education board result, Sylhet education board result, Comilla education board result, Chittagong education board result, Barisal education board result, Rajshahi education board result and Dinajpur education board result. 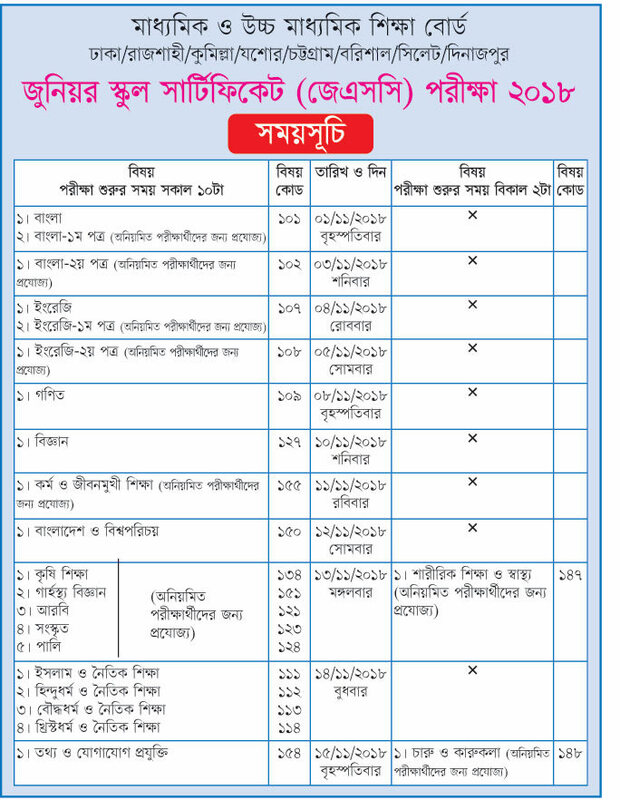 Besides, Madrasa education result www btem gov bd and Technical education board. 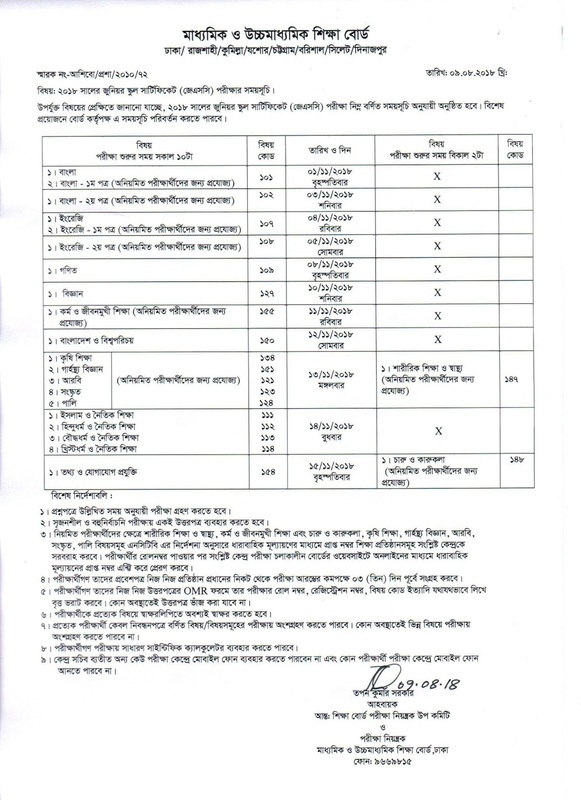 JSC/JDC Routine 2018, JSC/JDC result 2018 of all education board of Bangladesh viva www eboardresults com. Also students will get their result via own education board official website. Like Dhaka education baord result, Jessore education board result, Sylhet education board result, Comilla education board result, Chittagong education board result, Barisal education board result, Rajshahi education board result and Dinajpur education board result. 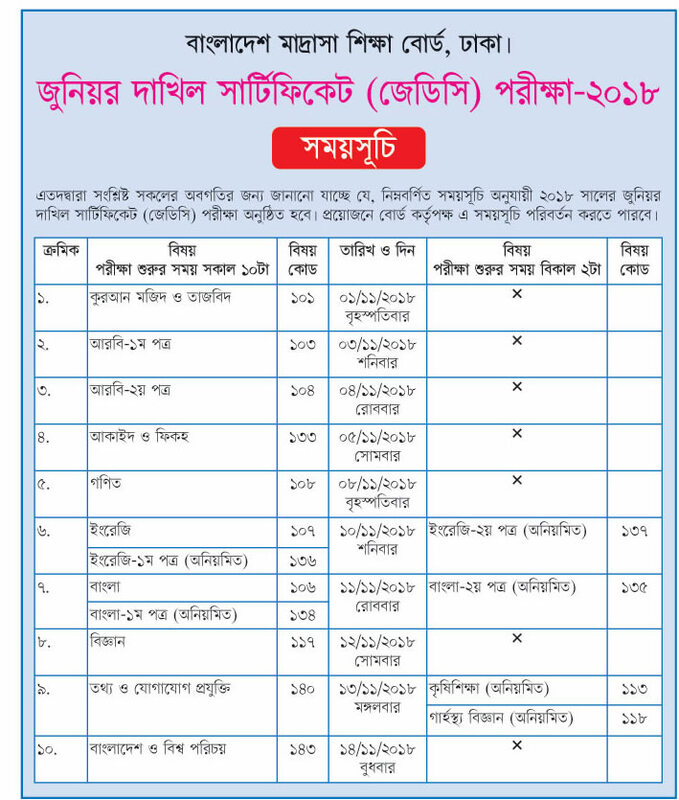 Besides, Madrasa education result www btem gov bd and Technical education board.